As local affiliates focus on the day-to-day operations of their respective locations, corporate marketing teams are tasked with building, implementing and managing local marketing campaigns that excite and engage local consumers. Unfortunately, as cited in recent reports, local affiliates of major brands lack the knowledge and expertise needed to do world-class marketing totally on their own. As a result, many corporate marketing teams try to create a collaborative approach to local marketing. They develop, execute and manage campaigns that make an impression on consumers and then rely on their affiliates to sprinkle in some local flavor using asset management tools and resources. 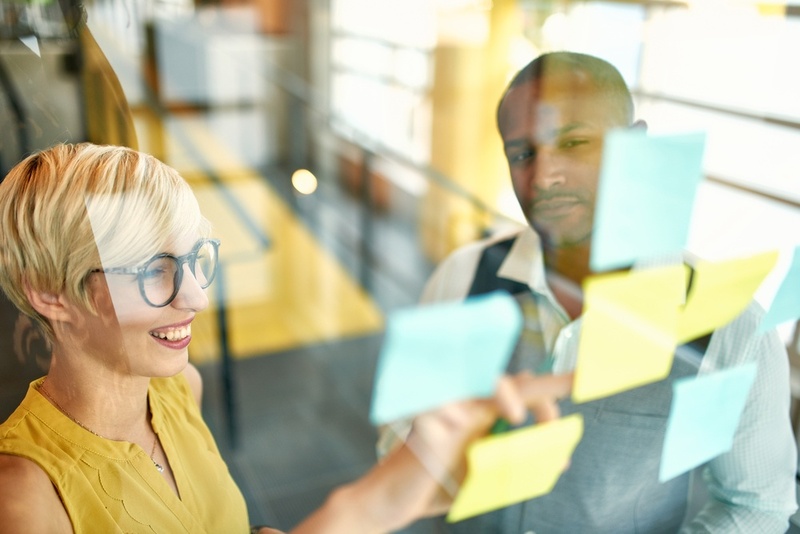 By focusing on the overall marketing plan, corporate teams execute cohesive campaigns that boost brand equity and deliver great customer experiences. When these campaigns reach local marketing partners it's important that they go off without a hitch. Consumers expect the brand to deliver the same in-store experiences, brand aesthetic, messaging and promotions from one location to the next. Is your team working on a local marketing campaign of your own? In this article, we'll cover the six most common types of local campaigns so you can see how yours compare to the campaigns that the world's leading multi-location brands run. Product Launch Campaigns: Great brands run campaigns whenever they launch a new product or service. These help to familiarize the consumer with the new offering and they can also get a lot of publicity for the brand, if done well. Corporate marketing teams get local affiliates involved in these efforts by creating in-store collateral and promotions that trumpet the "best new thing" the brand is offering. What's great about these campaigns is they can work for brands at any stage in their development. We're all familiar with how household names like McDonald's or Coca-Cola run out their new product offerings, but a product launch campaign makes just as much sense for brands that are much earlier in growing their fandom. For example, fewer franchises, such as Nekter Juice Bar, can focus on increasing their brand awareness by getting the word out about their awesome new products or customer experiences. How do these campaigns actually work? Of course, it all starts with the big reveal and those beauty shots of the product. A catchy tagline or product name goes a long way, and you need to get that name on everyone's lips by putting out ads across as many channels as you can manage (local and national). Very often there's also an experiential component. Free trials, samples and buy-one-get-one deals are still incredibly effective ways for brands to increase exposure for their new products. By involving the consumer these tangible, in-person experiences, you're more likely to make a sale for the local affiliate, which is always an instant measure of success for these campaigns. Promotional Campaigns: Brands initiate promotional campaigns to proactively sell certain products or services. The goal is to boost total sales for a given offering. For example, promotional campaigns are a great way to capture the customer's attention when capturing customers in the first place is a major challenge, like in the fitness industry. Not only can the right deal or offer almost guarantee the customer will convert this time, it also gets them into the actual store (or gym) where they're more likely to become a loyal fan. Anytime Fitness, who leads with the motto, "We'll Help Get You To A Healthier Place", makes it easy for customers to get started with campaigns like this. The company's website directs potential gym-goers to their local branch, then offers them a free 7-Day Pass to get started. The free offer is a pretty low level of commitment for a consumer. They like these types of deals because they save money and typically don't have to sign up for anything until they've tried it first. Franchisees like these offers because it helps to bring in new customers who can often be convinced to sign up right on the spot. These promotional campaigns also work wonders for brands in more niche industries as well. For franchises such as Amazing Lash Studio, which specializes in eyelash extensions, the brand has a lot of competition and a very specific target demographic. They need to compete with local hair salons, nail studios and other beauty-focused businesses to attract and maintain the right type of consumer. Getting eyelash extensions doesn't have the same kind of urgency for everybody as getting a better workout or buying the latest tech gadget, plus the service isn't likely to resonate with more thrifty consumers. As a result, Amazing Lash offers an introductory offer that's designed to overcome these challenges and create lifelong customers from day one. For $80 or $90 for a set of eyelashes, the brand attracts a consumer who will value this type of premium service. Seasonal Campaigns: Brands often run seasonal campaigns around special shopping holidays. It's an obvious win. From Black Friday to New Year's Clearance events, seasonal events like these are a guaranteed way to boost in-store sales. Consumers expect the sales, know they're coming and love them. Seasonal campaigns for things such as the Holidays or Fourth of July can also help brands connect with their consumers in a new and relevant way. When campaigns are launched and strategized effectively, you can really tap into the consumer's hopes or nostalgia around a given season. This is where local affiliates can shine. For example, around New Year's, many consumers set resolutions that include getting healthier. Franchises like those we previously mentioned (Nekter Juice Bar and Anytime Fitness) have an opportunity to gain more brand loyalty by tapping into that desire. Alongside specific promotions, individual stores can invite the community to come in for special events or experiences, like an informational juicing workshop or fitness seminar. Holidays such as Valentine's Day, which are centered on purchasing thoughtful gifts, are also a great opportunity to elevate that in-store experience. Franchises such as KaBloom Florists, a full-service floral boutique, or Edible Arrangements, are best known for their intuitive, online experiences. So why would anyone want to go into the store? Because in tandem with great seasonal offers and promotions, in-store employees provide expert help in choosing just the right gift at an important holiday time. By giving customers this personalized experience, they're likely to return for other seasonal gift-giving events like Mother's Day, Father's Day, birthdays and graduations. Given that 78% of consumers have canceled transactions on account of poor customer service, this aspect of the local store experience makes a big difference for the brand. An awareness campaign is a deliberate strategy to teach consumers about the brand and get them to associate with the brand for their buying needs. Every brand invests in some kind of awareness-generating marketing. But for new and emerging brands these awareness campaigns are absolutely crucial. Not only do corporate teams need to be incredibly strategic in promoting their brand and expressing the value to the consumer, that experience needs to be on-point at the local level as well. Brand-Building Campaigns: Brands run these bread-and-butter marketing campaigns when they need to boost brand awareness. Typically, these types of campaigns involve some type of storytelling that showcases the brand's unique personality. The campaign explains why consumers should love the brand, not just buy from it. Marketers have to get the essence of the brand right to pull these off well. Taco Bell offers the gold standard in effective brand building campaigns. The ultimate American taco chain has leveraged its place in customers' lives as a late-night stop into the cornerstone of its effort to encourage customers to "Live Mas." The channels the brand uses are almost as important as the message it's championing in creating that indelible brand identity. In fact, the brand uses Twitter and other social media platforms to engage and interact with audiences. In this instance, consumers can see Taco Bell's fun-loving, accessible, and humorous personality. The result? Taco Bell routinely ranks as one of the top must-follow social media accounts. Franchisees benefit from this social media bonanza by working closely with the brand to follow through on some memorable experiences born out of online posts. Commercial Partnership Campaigns: Brands initiate partnership campaigns with commercial entities to tap into other audiences. When Star Wars: The Force Awakens came out in 2015, Disney decided to launch a partnership with top brands to promote the film. Subway was one of the brands selected. To promote the new film, Subway franchises were given a "Kids’ Paks", which offered a chance to collect Star Wars: The Force Awakens messenger bags. The brand also distributed Star Wars-themed displays to stores, as well as limited edition ‘Stormtrooper’ cups. While the campaign was strongly supported by the corporate office, its success relied on the participation of local Subway stores. The stores not only had to put up the new displays, but also promote the Kids' Pak offers which were being heavily promoted in TV commercials and online promotions. If even one store decided not to fully participate, the campaign would fall flat and the brand's image could be damaged as a result. Cause & Activism Campaigns: Brands initiate cause-based campaigns to support nonprofit or activism-oriented organizations because they realize the long-term value for their brands in the idea of "doing well by doing good." Consumers like these efforts because they're often "Feel good" marketing. Employees and consumers both feel like they're making a difference and like to see brands supporting a cause they care about. Corporate marketing teams that do these campaigns the best always get local affiliates involved. They encourage their individual stores or locations to carry out the mission within their own communities. Oftentimes, these campaigns can get started from the grassroots level, too. 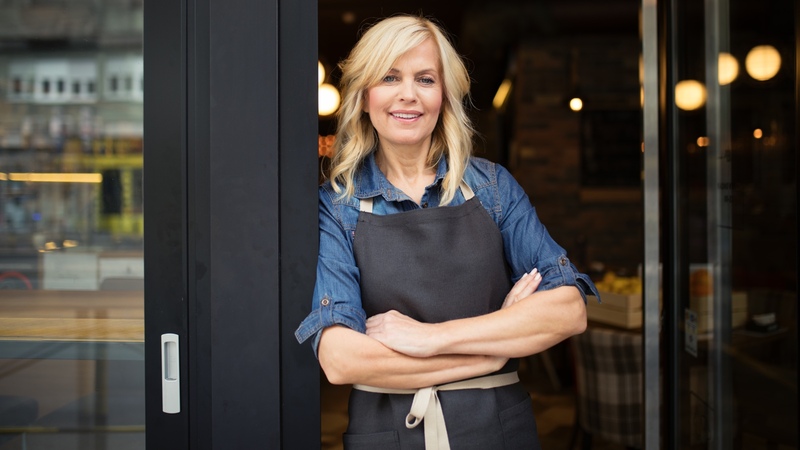 One franchisee or affiliate has a great idea for her local community that she shares with the rest of the network, and all of a sudden the brand has a cause or mission it can get behind. While a company like Panera Bread isn't a small mom-and-pop business with local roots, they still recognize the importance of working with their local communities wherever they open a new restaurant. Panera offers leftover end of day pastries, bread, bagels and cookies to local food cupboards and charities through their End-Of-Day Dough Nation program. The company doesn't waste anything, and the food goes to a good cause that has a real local impact. Any tax-exempt rescue mission, nursing home, church, food bank or soup kitchen, can apply to be a part of the program with their local Panera Bread. The world's most successful local marketing campaigns are more than just great advertising ideas or impressive commercial partnerships. The most effective local campaigns engage customers, increase positive perceptions of the brand, tap into new markets, and ultimately, boost local sales. Launching a successful local marketing campaign of your own starts with a clear organizational structure. Do you have the marketing assets, templates, and more needed to get the local marketing campaign off the ground? Do you have a real understanding of local audiences and the channels they use and are most likely to respond to? Do your local affiliates understand what is required of them in order to make the local marketing campaign a success? Get to the heart of these and other questions to lay a strong foundation for local marketing campaign success. Take the first step towards launching one of these high-impact local marketing campaigns. Unlock the templates, tools, and tips to unleash local marketing success. Download our free guide: The Local Marketing Playbook.